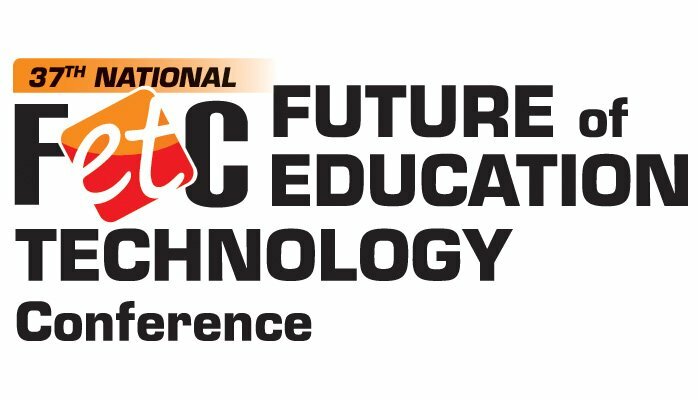 I spent the last week in warm and sunny Orlando attending the 2017 FETC Conference. This is one my favorite conferences of the year because of the quality of the sessions, the people and, of course, the learning. While there I had the honor and pleasure of delivering several features sessions and workshops. 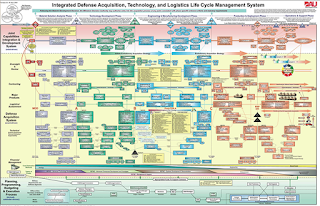 All the resources can be found by clicking the link below. Here are brief descriptions of each. 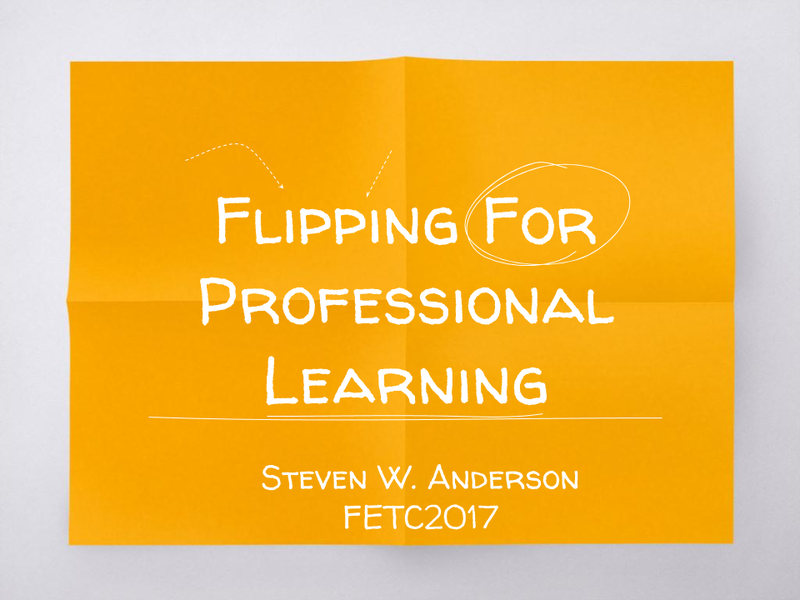 Flipping Professional Learning Workshop-Flipping the classroom is gaining in popularity in the classroom, but are you ready to try to flip professional learning? Discover why flipped professional development has the potential to disrupt the way teachers learn and will accelerate innovation in education. We looked at the various ways you can apply the flipping methodology to meetings to provide more professional learning time in your school and district. We examined how to create a new model of professional development to make the greatest impact on improving teaching methods and implementation of curriculum and learning activities that are transformed by the integration of technology. 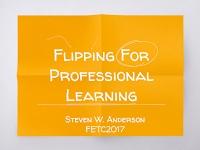 We looked at how to apply the "flipped" methodology to professional learning and learn what technology tools can enhance the flipped professional learning model. Discover the components of flipped PD including personalization, collaborative projects, coaching, and utilizing the best practice of ongoing, embedded professional development. Download the session resources. 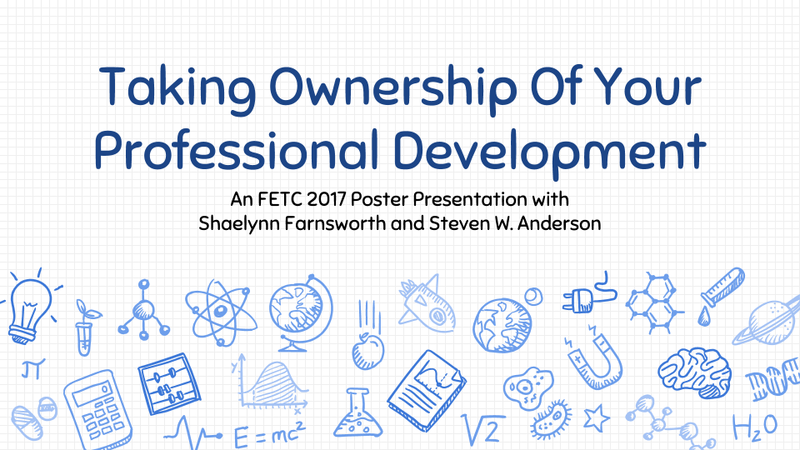 Owning Your Professional Development with Shaelynn Farnsworth-Educators today can no longer rely on schools and districts to meet their professional learning needs. Just as student learning needs to be individualized and personalized, professional learning does also. We explored the various ways educators around the globe are owning their professional development. Going beyond Twitter chats and webinars, we explored non-traditional PD and had a frank conversation on how to get districts to recognize the time you spend learning outside the classroom. Download the session resources. Showing How Awesome You Are: Using Social Media To Connect-The digital age is making it easier for parents and the community to learn what happens inside the school building. 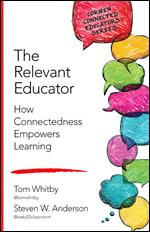 Using social media, schools and districts can more deeply engage with those stakeholders, providing a more unified foundation for better relationships. It also makes it easier for professionals to tell their stories and take control of the message they want all to know about the great things happening in schools and districts. 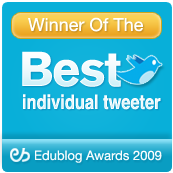 We examined the current social media landscape and described personal and school branding. We also showed how to accomplish it easily and simply with little or no funds but having maximum impact. Download the session resources. 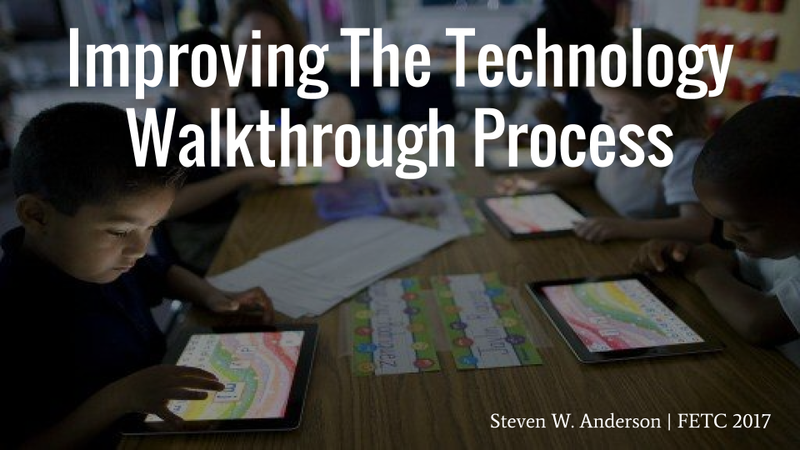 Improving The Technology Walkthrough Process-School leaders regularly conduct walkthroughs in classrooms to collect observational data to determine areas of focus and improvement for their schools. These small opportunities can provide valuable insights into the teaching and learning process. When new technologies or instructional practices are introduced into classrooms, it can be a challenge for leaders to communicate how everything fits together to create a richer learning environment. We examined the walkthrough process, specifically addressing technology and how to make overall improvements. 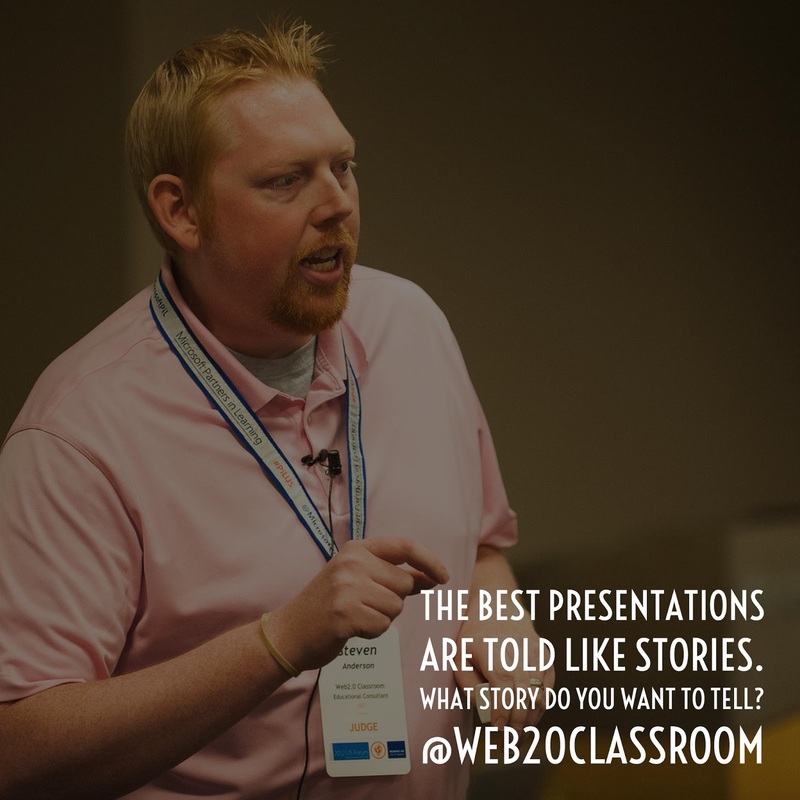 Download the session resources. Also while at the conference I took over the @AcerEducation twitter account where I gave an inside look to the conference and some fun interviews with some pretty smart folks. Check out the archive for more. 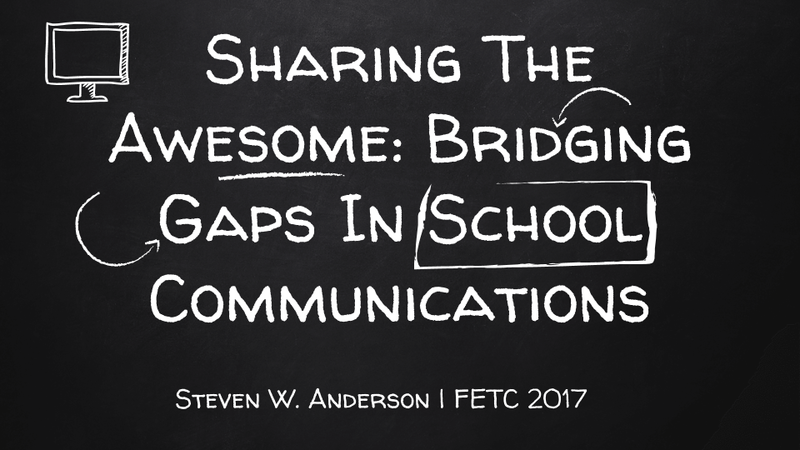 If you couldn't be at the conference this year, don't worry #FETC is always available to look at all that was shared including session resources, thoughts and reflections. 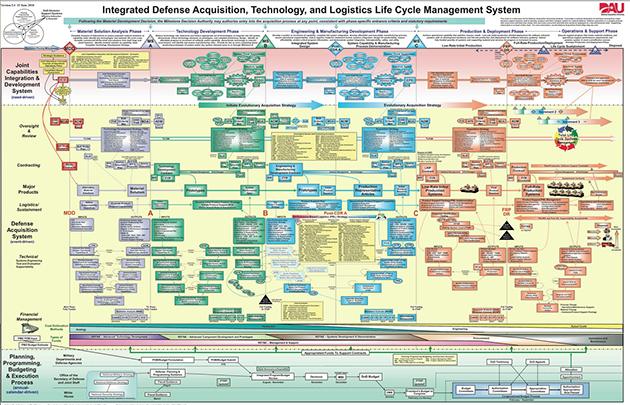 Take time to peruse and learn! This week brings us another awesome gathering of educators from all over the U.S. and beyond. Descending on the Orange County Convention Center in sunny Orlando, Florida the FETC Conference kicks off with tons of opportunities for all of us to learn, share and grow. I am honored to be a Featured Presenter again this year and will be there all week sharing and presenting along with countless other wonderful educators. Are you going to be there? Check out my Featured Sessions! After all my sessions I will be posting all the resources to my website and sharing them on social media as well as the #FETC hashtag. Can't make it to the conference? No worries! You can still follow along as if you were there. 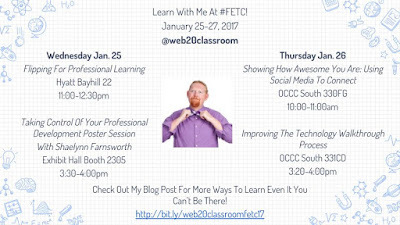 The #FETC hashtag will be going the entire week with folks sharing information from sessions, links to resources and thoughts they are having. Do a Twitter search or use your favorite client to set up a column so you don't miss any of the action. These are just a few. You can see the list of all Featured Speakers and remember, you can find folks on the hashtag too. 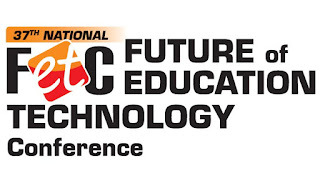 FETC is one of my favorite conferences of the year. And whether you can in person or from a far there's lot of learning to be had! As we begin a new year many folks have taken to Twitter to tell the world what their #OneWord2017 will be. The idea is you have this one word to use as your mantra to guide your work and focus to have a successful year. 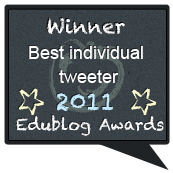 Many are also writing blog posts to explain why they picked that one word. 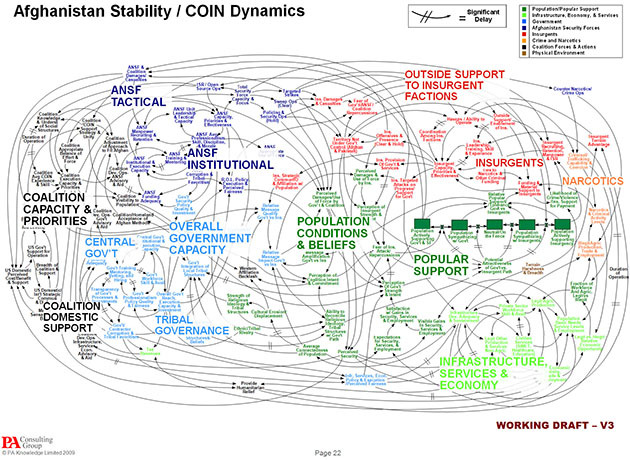 This post from Neil Gupta does a wonderful job of explaining the why and the how. Now, if you are like me, Shaelynn challenged your thinking by picking Eunoia. In case you were wondering it's the goodwill a speaker cultivates with their audience. I always try to take time to think about my work. The time I spend with teachers working on making classrooms more innovative or to help them think differently about how learning can be done. Or after I work with administrators and leaders on implementing technology initiatives or better understanding the role of technology in learning. And while I try to reflect often I don't do it often enough. As 2016 came to a close I looked at several of my keynotes and presentations I had been doing over the past year and decided I was unhappy. 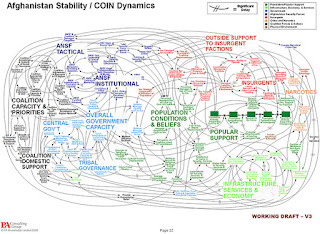 I wasn't motivated by the content any longer and it all seemed routine. I sat down and reviewed them one at time thinking about how I had presented them, the content and how I could improve. Many hours were spent redoing just one presentation but in the end it was worth it! I was excited about the content again and I had so much fun again presenting it. This would be a great exercise when kids head back to the classroom after a winter break. Get them to think about what drives them and what word do they want to be their focus and help them realize their potential. What will drive you this year? What do you want to accomplish to make this the best year ever? 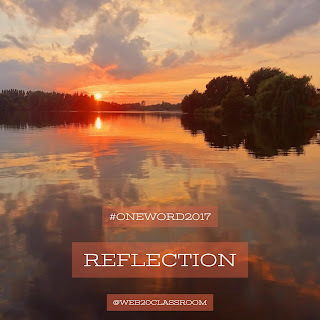 What will your #OneWord2017 be?